Which kind of stove should I bring? When packing for a climbing trip or expedition, choosing a cooking system can be one of the most complicated aspects of planning. As we explored in Backcountry stoves 101, there are many options for kinds of stove to bring – but how do you decide which style is best for a given trip? Ultimately, the answer depends on a number of factors including the length of your trip (one night? twenty? ), the style of climbing you will be doing (fast alpine climbing, or slower expedition style climbing), and how much actual cooking you plan on doing. Just boiling water for freeze-dried meals? Check out a lightweight canister-style stove. Dreams of gourmet base-camp recipes? 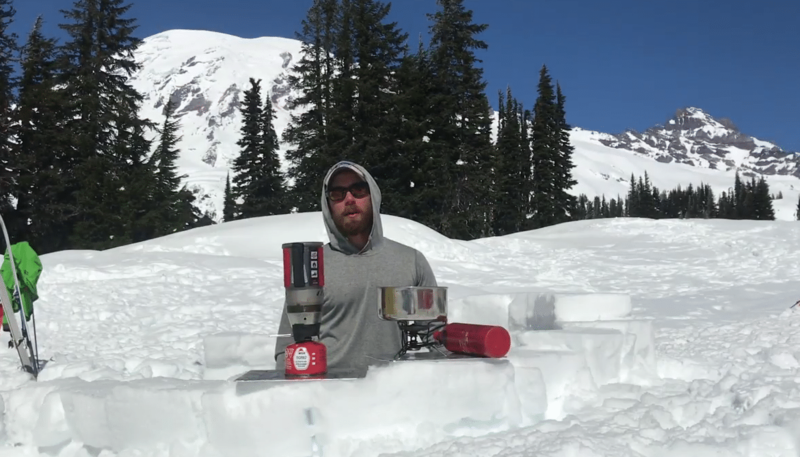 You’ll want a robust backcountry cooking system, capable of heat control and using multiple pots and pans. In general, lightweight integrated stove systems work exceptionally well for boiling water and melting snow, are super-fuel efficient, and take up the least space in a pack. The only use iso-butane fuel canisters, and typically nest inside their pot to provide the most compact stove system. Unfortunately, by nature of their integrated construction they are only compatible with one (exceptionally difficult to cook in-) pot. These stoves are best suited to alpine-style climbing, where you are planning on extremely simple cooking, and primarily use the stove for melting snow and boiling water. Classic style camp stoves, on the other hand, are much more versatile. These systems run off either White gas (camp fuel), iso-butane canisters (some models can even switch between the two), or various other fuels. They are hardy, mechanically simple, and field-maintainable. They are also compatible with any cookware, allowing you to bring multiple pots and pans, vastly increasing your cooking options and allowing for far more diverse recipes to be prepared.